For a nothing less than incredibly stylish outfit, marry an olive quilted gilet with a navy suit. Make your look more fun by rounding off with oak street bootmakers trench plain toe boot. So as you can see, outfiting seriously stylish doesn't require that much effort. 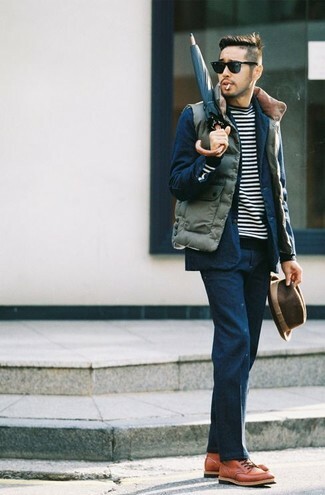 Just make a navy pea coat and navy jeans your outfit choice and you'll look amazing. Finish off this ensemble with tobacco leather casual boots. 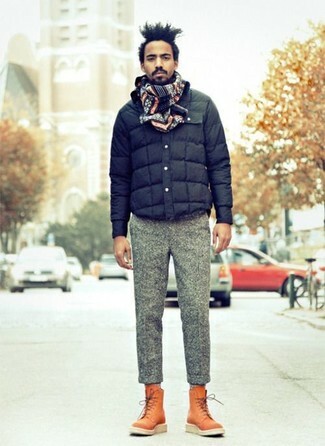 Pair a navy quilted bomber jacket with grey wool dress pants like a true gent. 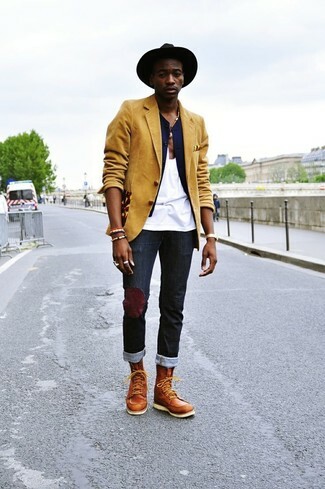 For something more on the daring side to round off this look, opt for a pair of oak street bootmakers trench plain toe boot. Contrary to what you might believe, being a dapper dude doesn't take that much time. Just go for a navy trenchcoat and navy jeans and you'll look incredibly stylish. When it comes to shoes, this getup pairs wonderfully with oak street bootmakers trench plain toe boot. 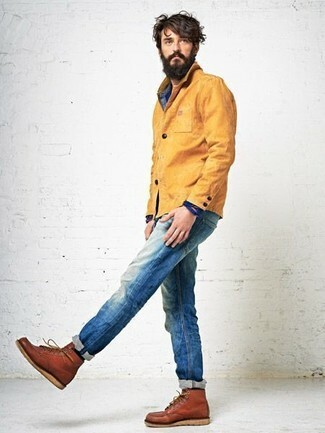 If you're in search of a casual yet on-trend look, go for a mustard barn jacket and blue jeans. Both pieces are totally comfortable and will look great together. Kick up the cool of your outfit by complementing it with oak street bootmakers trench plain toe boot. Contrary to what you might believe, getuping sharp doesn't require that much effort. 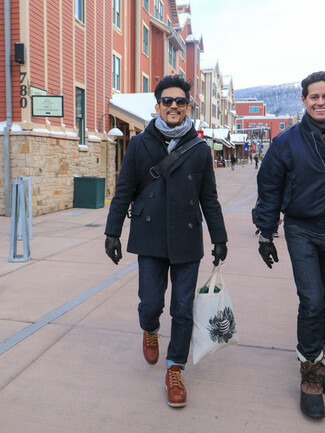 Just choose a black pea coat and black jeans and you'll look savvy. 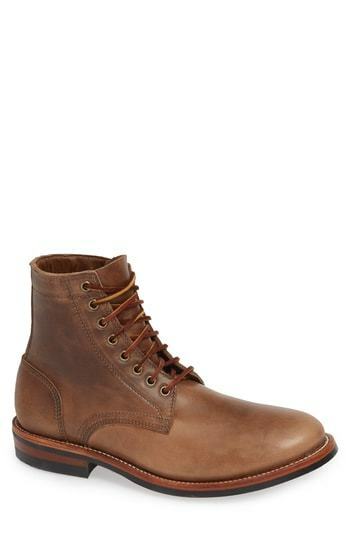 Oak street bootmakers trench plain toe boot are a fitting idea here. This combination of a beige trenchcoat and navy jeans is very easy to put together without a second thought, helping you look awesome and ready for anything without spending too much time going through your collection. When it comes to footwear, this ensemble is complemented perfectly with oak street bootmakers trench plain toe boot. For a smart casual outfit, wear a mustard blazer and black jeans — these pieces go perfectly well together. 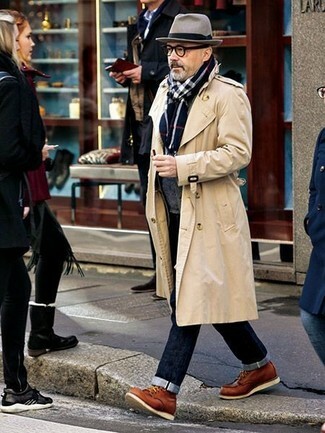 Consider oak street bootmakers trench plain toe boot as the glue that will bring your outfit together. Consider wearing a dark brown leather barn jacket and grey wool dress pants for a sharp, fashionable look. Add a sportier twist to your ensemble with tobacco leather casual boots.